« Dinner Guests: What Makes a Good One? This entry was posted on March 12, 2010 at 9:55 AM and is filed under baking, food flotsam & jetsam. You can follow any responses to this entry through the RSS 2.0 feed. You can leave a response, or trackback from your own site. How interesting that these two men are able to make the time to make such a success of their passions. Sign me up for the chocolate club! Fun profiles! I’ve never heard of a chocolate club, but it makes perfect sense. Especially for someone who has limited production time. 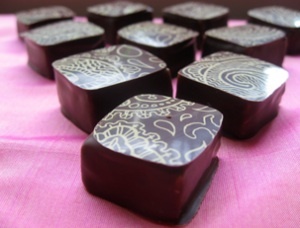 I am a chocolate addict, and these chocolate confections made my mouth water. I love the icing/decoration, it makes them so much more decadent. Oh, my! I will have to join the chocolate club, too. There goes my diet! Okay gals, I’ll post an update if and when the chocolate club gets up and running. It certainly sounds like there is interest in the idea. I’m putting in orders for one bag of each, please, Sarah, to be delivered to me in Portland. (I’m serious — I’ll reimburse you.) 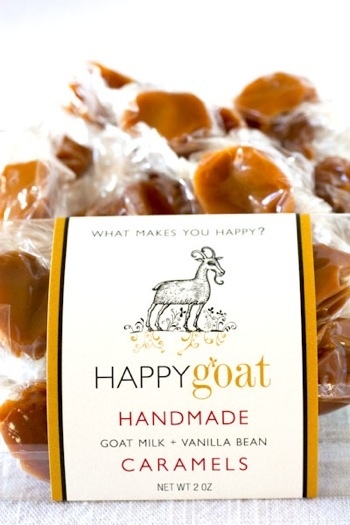 Goat milk caramels? Yes, PLEASE! You’re on. Just remind me a little closer to departure date. 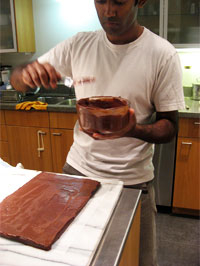 When Anand gets the chocolate club going–just let me know where to sign up. What a fabulous idea! Love these profiles of artisan producers working from home; still trying to figure out how to do the same over here with my jams and marmalade-great inspiration, and agree with Cheryl that those goat milk caramels sound divine. It’s fun to see people who make time for their passions, despite demanding careers.